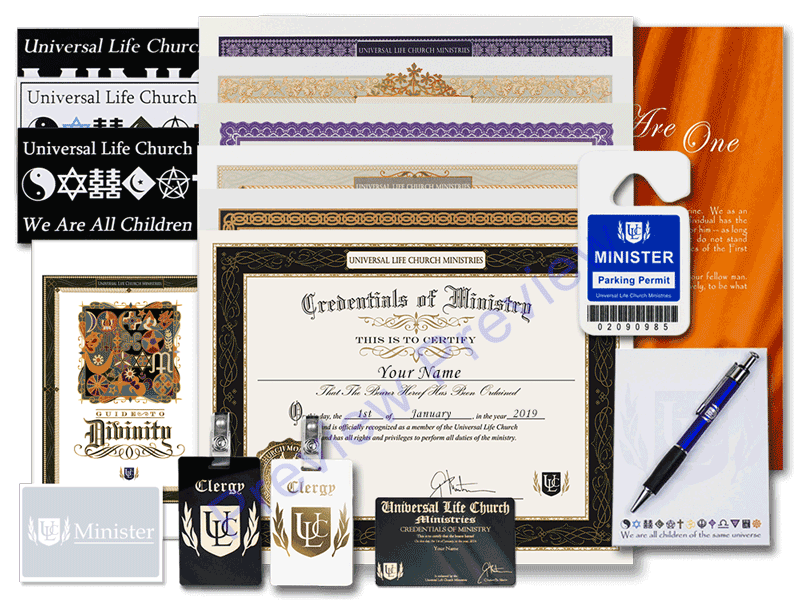 This Premium Minister Set contains your ministry credentials along with certificates for ceremonies like baptisms, baby naming, funerals, and marriages. This complete kit was put together for beginners in their ministry looking for a great starter kit. 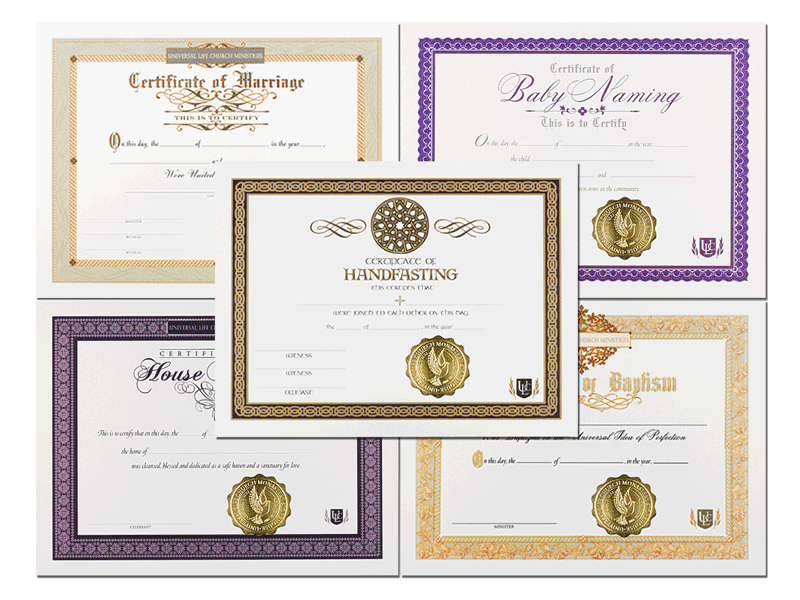 It includes your ministerial credentials in both full-size and wallet-sized, as well as certificates for all major ministerial duties you might be requested to perform. They all come in a custom ULC folder for convenience and portability. Be prepared for everything in your new ministry, or get a kit to refill your stock of basic supplies with this package.